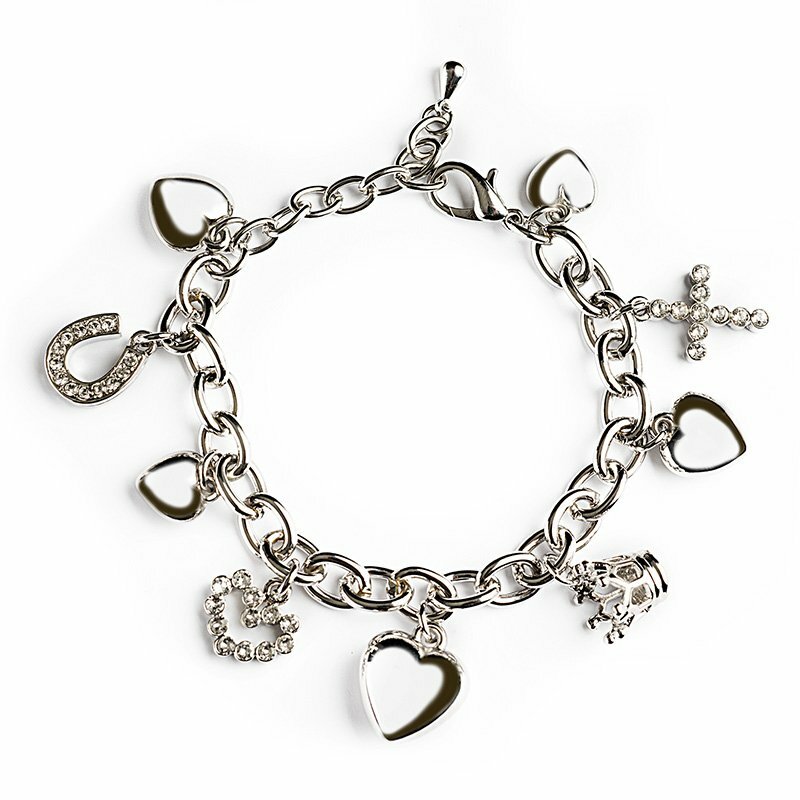 This precious gift will be a detail that will fill her day with joy and romanticism, whatever the occasion. Confide in FloraQueen and MyCollection with Swarovski crystals and you can’t go wrong. Discover the on line jewelry store. Jewelry accessories are a great way to present a unique image. With these simple accessories, you’ll adorn your style with a simplicity that will make everyone wonder just how you’ve achieved that unmistakable style. So, we offer you the chance to discover the latest trends in our on line jewelry store, where you can see how something so simple can be so stylish. These accessories are the safest bet when it comes to buying someone a present that expresses all the wished-for feelings. Our choice will help you to find the perfect style with a wide range of bracelets, necklaces and ear-rings, that will all make the prefect present. Don’t let another moment go by and check out our on line jewelry store. We guarantee that you’ll be surprised by the choice of products to accessorize your personal image that we’ve got reserved especially for you. Get designer on line jewelry. Looking great with something simple is so easy now thanks to our range of on line jewelry. Find that unique present that makes your image even more personal with this wide choice of designer necklaces, bracelets and ear-rings. From among them all, find the one that best matches your personality and don’t be shy about adding a different touch to your look. Thanks to this choice we offer you, you’ll adorn your style with a special touch, whether every day or on special occasions. And these accessories will become your staunchest allies. Among our wide range, you can compare and give a unique present that will surprise. Don’t wait any longer, and check our on line jewelry accessories, find the one that best suits you or those you want to surprise someone with to make it an occasion to remember. We’ll help you in making the choice as simple as possible by offering numerous styles and possible combinations.